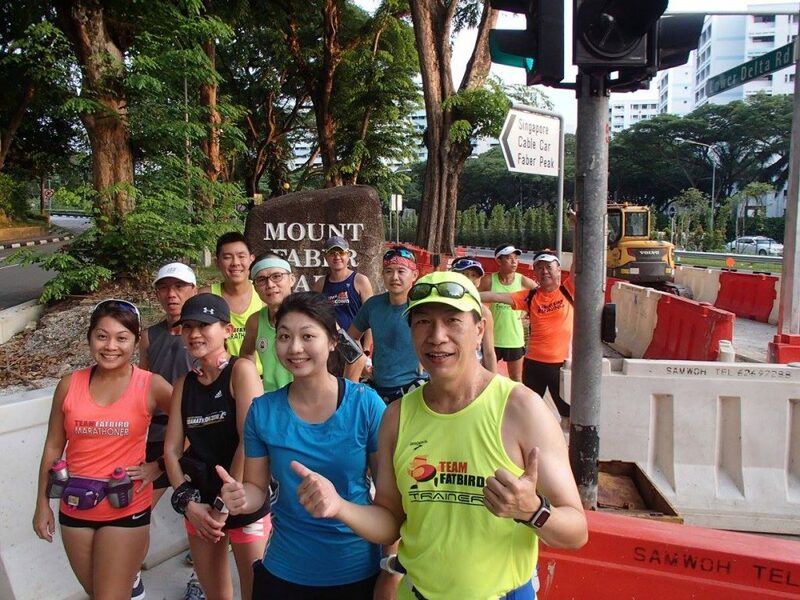 The Sunbirds – Team FatBird’s Standard Chartered Marathon Singapore (SCMS) training flock were back at the Mt. Faber Hills for yet another challenging workout in Week #4. This week’s program offered those who missed last week’s grueling training a taste of the Western Hills region, as well as allowed the marathoners who showed up last week to pare down to a more subdued routine this week. 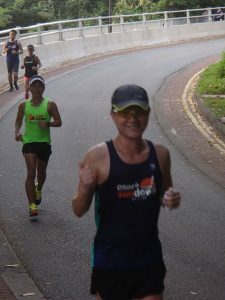 However, the weather this time was the ‘killer’ app, providing the mainly Half and Full Marathoners with some good conditioning for the Dec SCMS race. It had been hot and humid these past few editions of the SCMS, and this year’s race might see heat and humidity posing challenges to participants again. The first part of the training had the Sunbirds tackling the Mt. Faber Hills repeats, burning up more fats and glycogen with every climb of the 1.6km hill loop. 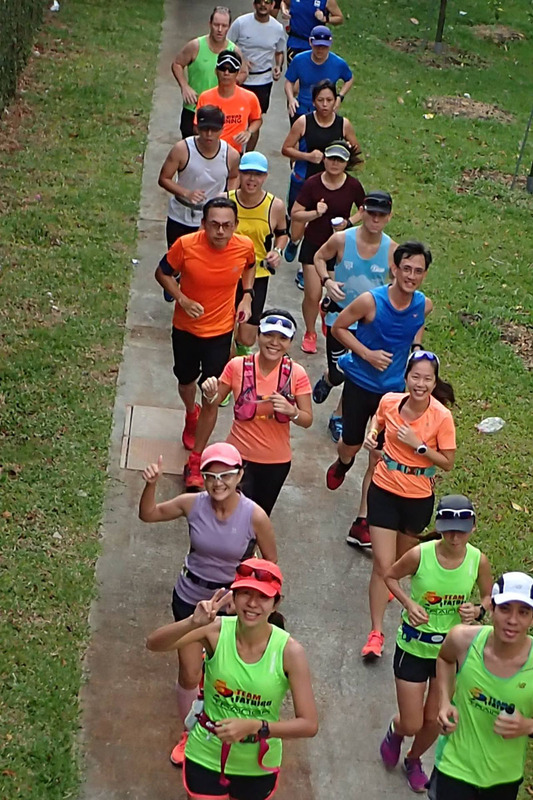 Most of the Sunbirds were happy to run the hills again as they have seen quite good progress with their weight loss figures over the past 3 weeks of foundation building. 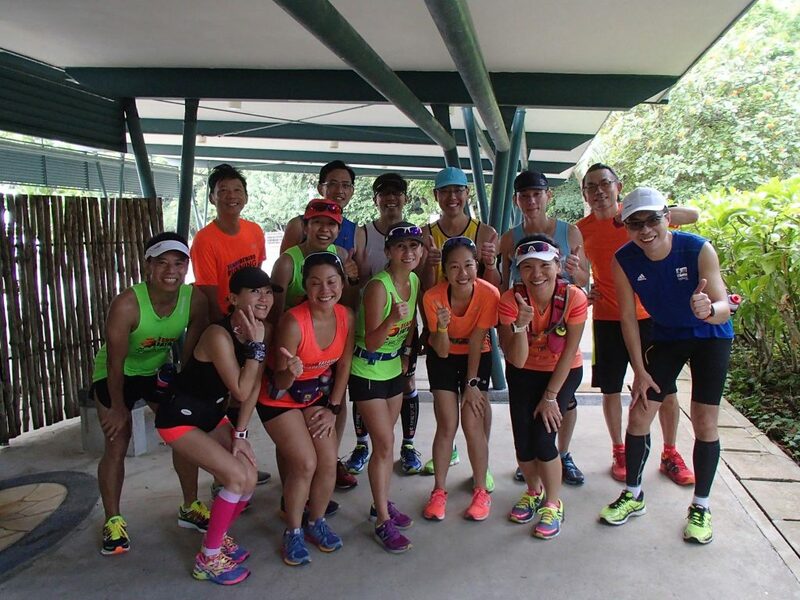 By the time we hit Labrador Park for the second part of the run, many of the trainees were already having growling tummies. The training had to go on. 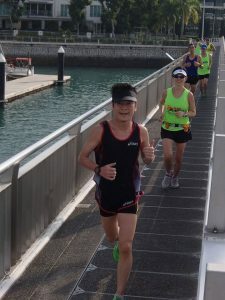 There were a few runners who had slightly low sugar levels in spite of coming prepared with a good breakfast. 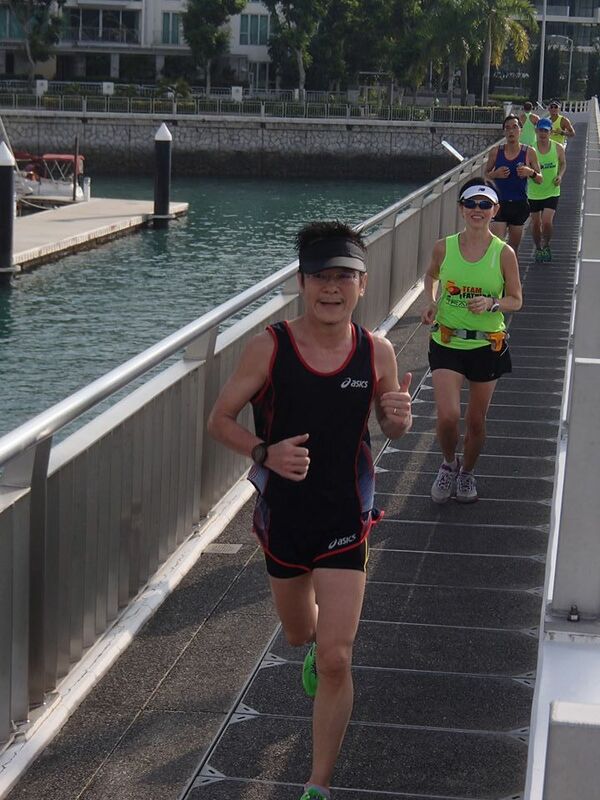 The heat of Brother Sun spared no one as we ran into the scenic but open Keppel Marina area. More fuel and reserves were burnt. 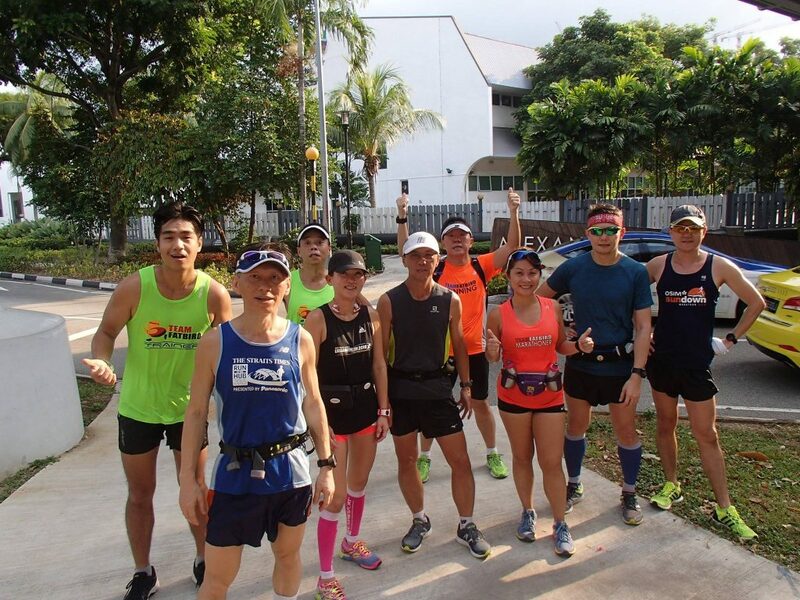 The Sunbirds’ foundation in just 3 weeks of training helped them sustain their target training paces to complete the Labrador Park sets reasonably well. As if the glycogen and fat stores were not taxed sufficiently, the final 5km run back on a gradual rolling up-slope back to the Mt. Faber start point would have teased off any remaining reserves from the fuel tank. It was no wonder the Subway outlet at MF had a mini queue after our trainees returned. 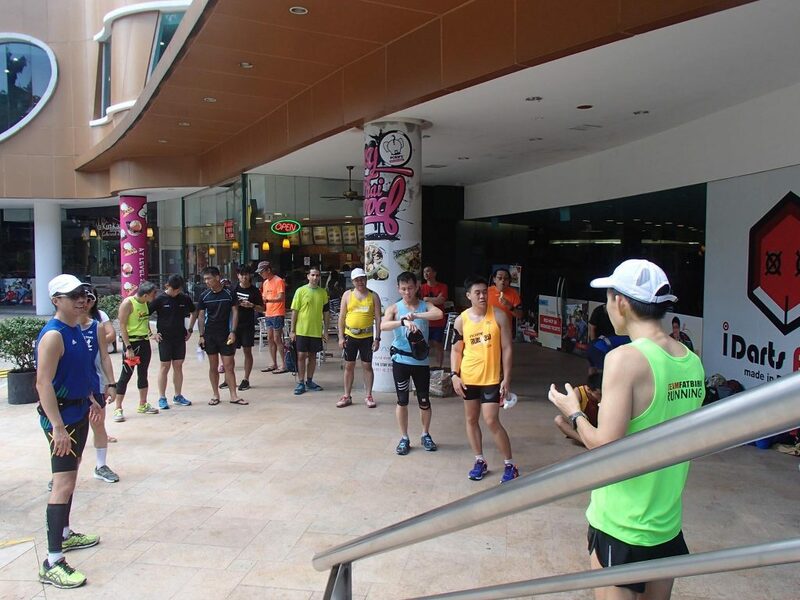 In between mouthfuls of their 6-inch to foot long sandwiches, the Sunbirds listened attentively to the marathon training debrief given by their trainers. 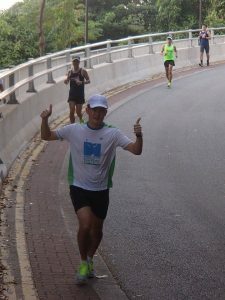 There were key points given in terms of their running form and posture, proper manner of carrying of hydration and also some techniques in terms of tackling hills. 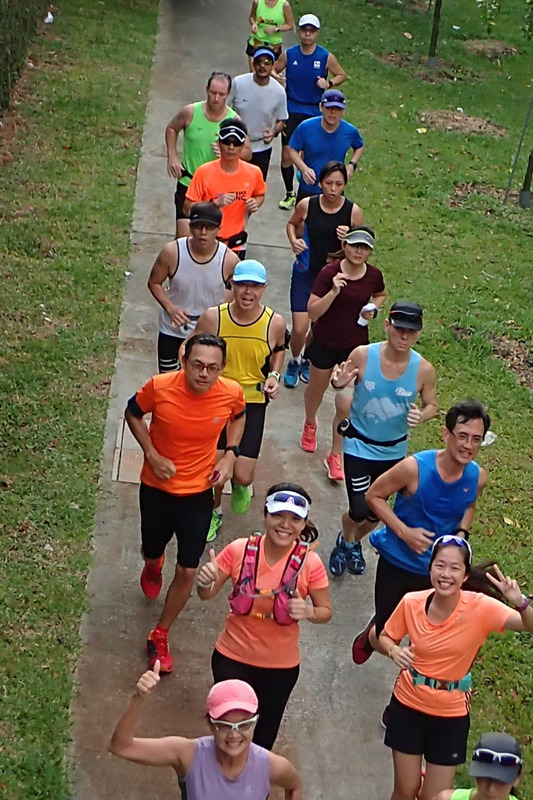 With one third of the Sunbird structured marathon training program completed, a number of trainees were reporting better aerobic base, running form and quite importantly to many, loss of 2kg to 4kg of fat weight from their physical frames. 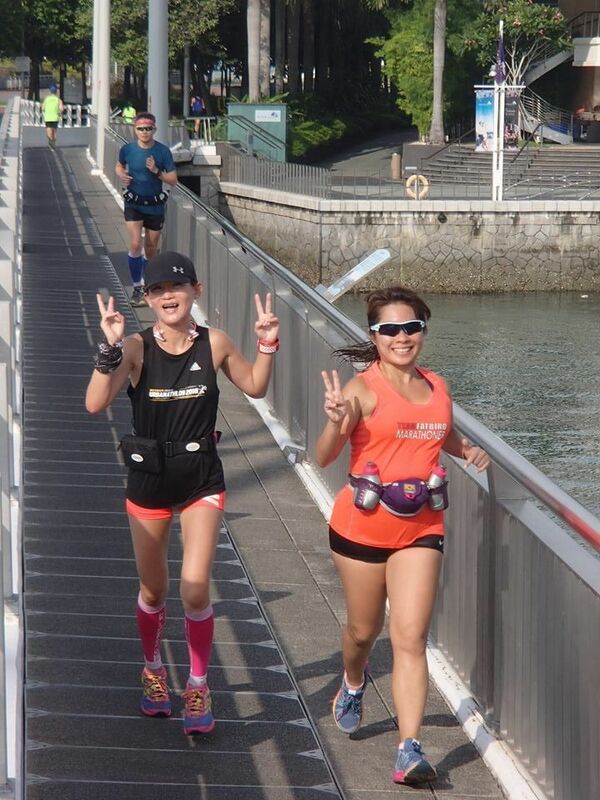 Of course, having a good marathon diet coupled with following closely our proven marathon running and training schedule will enhance the results of proper weight loss leading to optimal race weight. A number of Sunbirds were recommended by their trainers for upgrades to the next pace group based on their consistent progress during training. All these positive analytics have kept the Sunbird participants motivated to attend every training session rain or shine. 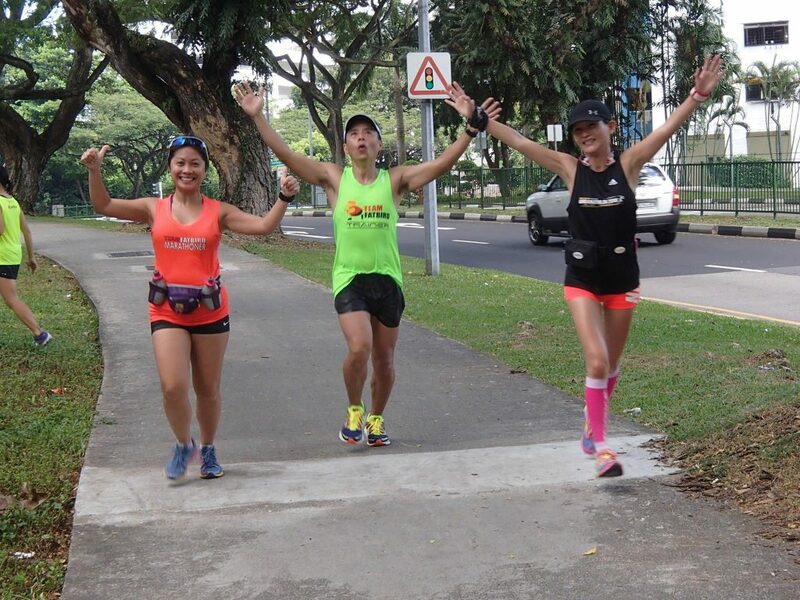 They now look forward to the next third of training where we will progress on to enhanced volume and pace to hone their speed and strength endurance for their eventual marathon distance. 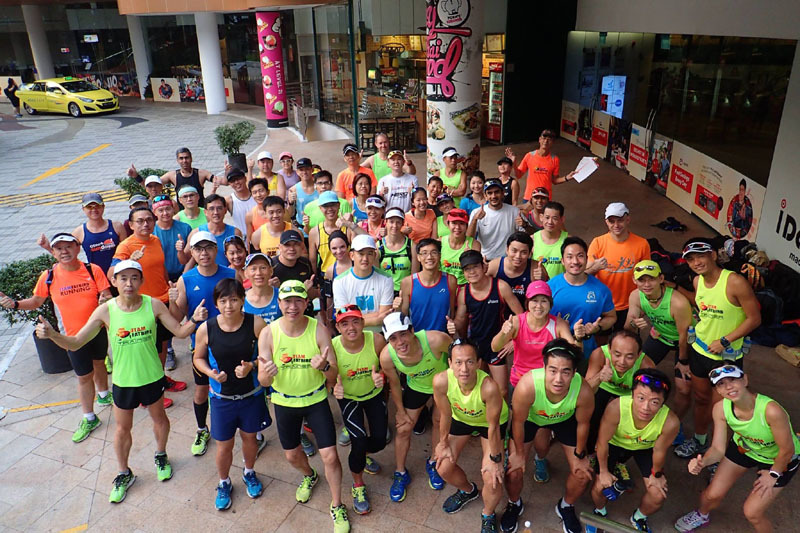 Next week will see the kick off session of Team FatBird‘s 8-week Corporate SCMS Marathon Training Package for 10k, HM and FM categories. Write to info@teamfatbird.com OR Check Out Program Details Here! The Sunbirds Are Lighter & Happier Campers!